Wired ribbon measures 1.5″ x 10 yards per roll. 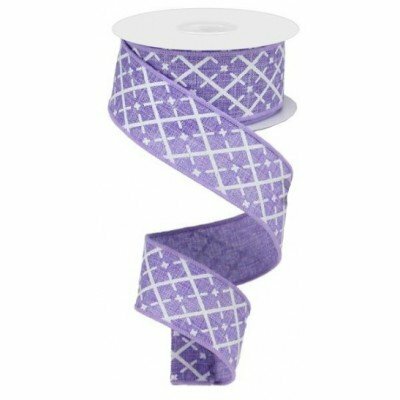 A lavender woven ribbon with a glittery white crosshatch pattern. Perfect for Easter, Spring, Summer or everyday! Wired ribbon holds its shape beautifully.